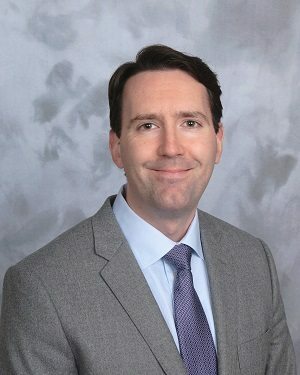 Garrick Applebee, M.D., has joined St. Peter’s Sleep Center in Albany, New York. Board-certified in pediatrics and pediatric sleep medicine, Dr. Applebee will practice sleep medicine. His professional interests include pediatric sleep-disordered breathing and parasomnias. Dr. Applebee received his medical degree from the State University of New York at Buffalo Jacobs School of Medicine and Biomedical Sciences. He completed a pediatric residency, chief residency, and sleep fellowship at The University of Vermont Medical Center, formerly known as Fletcher Allen Health Care, in Burlington. Previously, he served as the sleep fellowship director and medical director of The University of Vermont Medical Center Sleep Program. St. Peter’s Sleep Center is accepting new patients at 1 Pine West Plaza, Washington Ave. Ext., in Albany. For more information, or to schedule an appointment with Dr. Applebee, please call 518-464-9999. The St. Peter’s Sleep Center serves a 24-county region encompassing all of northeastern New York and west central New England. The center has been accredited by the American Academy of Sleep Medicine since 1991. Advancing the study and understanding of sleep/wake disorders, the center’s experienced staff is dedicated to helping people who suffer from chronic sleep disorders find help and lead more satisfying, healthier lives. Taking a multidisciplinary approach—tapping the expertise of local specialists in the fields of otolaryngology, pulmonary medicine, psychology, pediatrics, neurology, dentistry and nutrition—the center evaluates patients with a variety of sleep disorders and complaints.